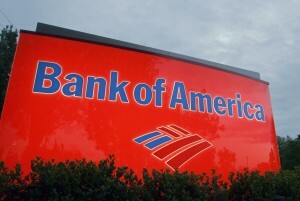 Bank of America Corp (BAC), Wells Fargo & Co (WFC): The Check Is in the Mail, Now What? The “robo-signing” debacle in the mortgage industry is finally coming to a close. The banks that were involved sent out foreclosure settlements that totaled $9.3 billion. The checks are finally on their way out to consumers after the settlement was reached earlier this year. Does this mean anything to investors? Major banks may have wrongfully performed foreclosures on many homeowners due to automatically signing documents without conducting proper research. Nearly 90% of all borrowers who experienced foreclosures and whose mortgages were serviced by the 11 major banks will receive some sort of payment. In this settlement that involves roughly 4.2 million homeowners, 80% will receive less than $1,000. The range of payments is $300 to $125,000. Homeowners who were denied mortgage servicing will receive small payments, whereas homeowners who had their homes wrongfully seized are set to receive the largest payments. Some 1,082 military personnel will receive $125,000 each for the wrongful seizure of their homes while they were away on active duty. There is a law in place that prohibits banks from seizing the homes of active-duty military personnel. Bank of America Corp (NYSE:BAC) has been under a lot of scrutiny for the past few years. In its most recent quarterly earnings report for the first quarter of this fiscal year, it missed earnings expectations even though total deposits were up 57% from last year. Analysts expected the firm to earn $0.22 per share, but the bank only delivered $0.20. The bank announced its plan to cut expenses by $2 billion per quarter by 2015. It’s on track, having reduced $1 billion in operating expenses from this time last year. Bank of America Corp (NYSE:BAC) has the highest foreclosure settlement payout of any of the major banks. It will be sending out $1.1 billion in cash plus an additional $1.8 billion in mortgage-balance reductions. The average loan reduction will be around $100,000. For investors, this means a drop in cash assets and a reduction in loan-portfolio size. With more than $110 billion in cash and cash due from banks, the large payout doesn’t seem so big.